When I first started as a freelancer online, pretty much the only way to get paid was with PayPal. I loved accepting PayPal because it allowed me to work from home and see the money immediately. No waiting for a check. Today, the fees are starting to get a little annoying. Plus, as more people freelance, there are more payment solutions. 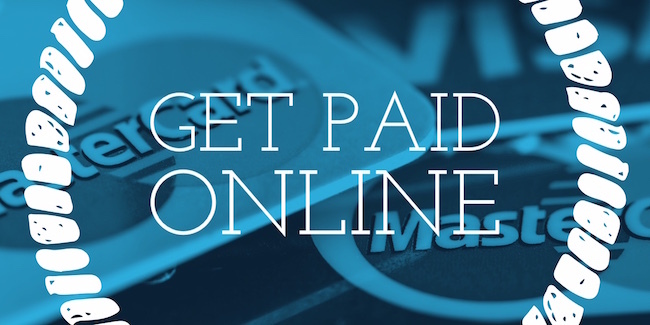 Right now, get paid without PayPal all the time. In fact, very few clients still pay using that service. It’s a beautiful thing. Ok. This isn’t exactly about fintech payments. But it’s pretty great all the same. More and more of my clients want to pay via direct deposit. This is an amazing development for me. It means that I don’t have to worry about fees, and the money just appears in my bank account. Because it’s important to keep your personal finances separate from your business finances, I am careful to make sure that my 1099 clients deposit into my business account. It works very well. I get paid on time, don’t pay fees, and my clients usually outsource the payroll to fintech payment platforms so it makes them happy, too. One of my favorite developments in the fintech payments space is Venmo. You can send money from bank account to bank account for free. I use Venmo to pay some of my own service providers. I also accept Venmo payments from some of my clients who just need the occasional thing done. They don’t have a lot set up for regular work, and they want to be able to make a one-off payment. You pay a fee if you use a credit card, but person-to-person bank transactions are free. There are still fees if you send money with a credit card, but if you are a freelancer who wants to get paid, Google Wallet can be a great choice. Unlike PayPal, which will charge you to receive money, Google Wallet doesn’t take a fee when you receive money. It’s free to transfer money to your account. See if your clients will pay you using Google Wallet to avoid some of the PayPal fees. Fintech payments have given rise to entirely digital currencies. The most well-known is Bitcoin. You don’t have to worry about fees when you use something like Bitcoin. It’s easy to send money around the world, and as long as you keep your cryptocurrency wallet backed up, mostly secure. Beyond Bitcoin, there are other cryptocurrencies, all of which use blockchain technology to make sure you get paid as a freelancer. I’d be remiss if I didn’t mention Due Payments as a leader in fintech payments. You can use Due to send and receive global payments. Due offers a digital wallet, and we offer eCash solutions. It’s a new world out there, and you really don’t need to rely entirely on PayPal to get paid as a freelancer. Review your options, and see if there are others out there that can provide you with a fast, easy, and less expensive way to get paid.